I Live In A Fictional World: Massive IMM! 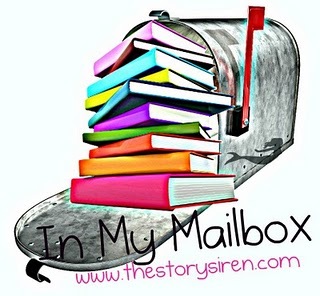 In My Mailbox is a weekly meme hosted by The Story Siren where we spotlight the books we've received in our mailboxes either for review or purchased. I realized today that I have not been able to post since October 5th and that immediately upset me. I know I don't post daily but I try to get something in once a week AT LEAST! Not posting anything in over a week and a half does not sit right with me. So I have saved up two book deliveries in the last week and I'm taking a break from studying for my History midterm (which I am totally going to fail) to bring you this massive IMM! The only problem is that with all this homework, it'll be forever before I can get to any of these amazing books. OMG.I love all these books and I haven't even read them yet! I'm just so glad to have them on my shelves for when I finally get a chance to crack one open. I'll probably get to them around...oh I don't know - summer break! Feel free to leave your IMM list or link below so we may continue the drooling! I love Glow! It's so good! I need to read the Iron Fey series!